You don’t know me, and sadly, I do not know you. Not as I should at least, not as I’d like. I have seen so many countries in my life that admitting I’ve never set foot on your soil fills me with a massive amount of shame, especially seeing as I was so close just under two years ago, planning a trip en-route to a convention that unfortunately I had to cancel due to a snowstorm and your airport being closed. I was excited, too, to meet you. There’s something beautiful about knowing you’re going to step off a plane and be somewhere completely different, somewhere completely new that you’ve never seen before in your life. And while you’re so close to the country in which I spent the first measly four years of my life, sharing a border with it in fact, I have embarrassingly never managed to make my way up into your lands. First Culture Kids (FCKs) form a natural attachment to their homeland, understanding that this place, the place that me, my family, my friends have all lived, is my home. Even when they move away from that location, should they choose to in their adult years, they always retain that level of connection to their home-town. TCKs don’t have that. We travelled from place to place in our developmental years, learning from various cultures, communities, and countries but never being tied to a singular cultural or patriotic experience. We’ve seen dozens of sides of dozens of coins, and each one has some sort of value to us, but that singular connection, that place we can call home, is completely foreign to us. Take me, for example. I was born in England, but England is just the country where my parent’s lived, where my extended family lives, and another place I frequently visit to share in scattered moments once a year with family members that go about their normal day-to-day lives without me ever being part of them. In a sense, my brother and I are the forgotten members of the family, the ones that are of course still in the thoughts of our extended family, but never like everyone else, never truly connected to the daily lives that everyone else shares so closely. We’re just too distant, too different, and too… foreign. I have a passport, you see, my ticket to the world. With it, I can travel almost anywhere I choose, visit almost any place I could want to see, and continue to expand my knowledge of both individualised and globalised culture. It is a ticket to everything, this silly little piece of paper with nothing but my picture, name, a random number that was assigned to me as my life-long identification, all tucked away in this lovely little red book embossed with a beautiful logo. This passport is special, because while it sits comfortably beside a blue passport that reads United States of America, this one, the passport I was granted due to my birthright, carries so much more meaning to a child of the world such as myself. This passport is one for The United Kingdom of Great Britain and Northern Ireland. I have spent years of my life trying to understand what it is about that passport, that simple little red book that brings me so much pride. And you see, while I carry two, one for a country in which I currently reside and one for a country in which I have hardly resided, the passport for the United Kingdom symbolizes everything that a TCK has come to learn about the world. This book, formed because of pacts and unities dating centuries, was a truly glorious and unforgettable claim for unified globalisation. It is the success story behind attempts that preceded it and followed it time and time again, a truly world shattering statement that we free people are better together than we are apart. That through each other, we can achieve so much more, go so much further, and be so much stronger than we had ever even imagined. Having seen this world through so many different cultural lenses, having watched so many people strive for exactly the same thing in so many different languages, looking at my passport and knowing that long before I set eyes on this world, there were people fighting to bring it together in a way that strengthened their neighbours, not weakened them or belittled them or scared them, I couldn’t be more proud to carry that document. 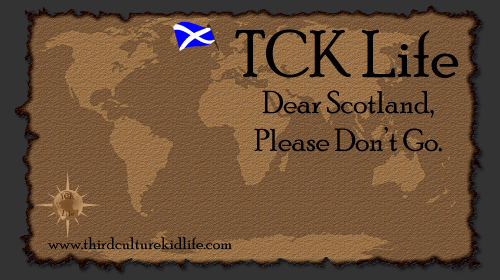 So please, Scotland. I beg of you. Do not leave. I have no home like you know, I have no sense of national self devotion, no patriotism the way you would understand. I am a child of the world. And as such, I beg of you to stay. I beg of you to claim the authority you seek, but as a nation united with others in a quest to bring people together, not force them apart. Both you and your neighbour nations, the community for which I hold the single most important document of my life, are something to be so proud of, something that I am proud of each and every day from thousands of miles away, knowing that at any time I can return and settle down with pride in what you’ve all achieved. So please, don’t go. You have the power to push unity on, or show that further separating the world is the right thing to do. And believe me when I say, we are all just people of the world fighting to be heard. Please, don’t go. Please, stay with us for globalisation, and make this TCK proud. This entry was posted in Cultural Identiy and tagged Culture, current-events, England, expat, expatriate, Scotland, Scottish Independence, TCK, TCK Life, TCKs, Third Culture Kid, Third Culture Kids, United Kingdom, World Culture, World politics on September 16, 2014 by James R. Mitchener. 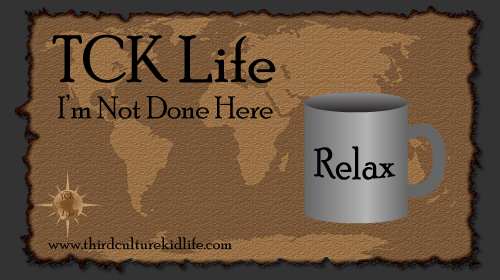 If you’re here, then you’re either a Third Culture Kid, the parent of a TCK, or have some sort of intimate relationship with TCK life and/or expatriation. In some way, you at the very least partially understand that TCKs are a mess of culture driven by this seemingly unnatural desire to get up and go, experience more, and jump from location to location leaving everything behind in hopes of capturing that next piece of the puzzle that makes up multiculturalism. People have coined us everything from Permanent Internationals to Global Nomads, and you know what, we’re proud of all the titles that non-travelers and international explorers alike have thrown our way. We embrace our multiculturalism with such ferocity that anyone would think we have in our possession something as precious and sought after as the fountain of youth. I’m not done here yet. It’s time that changed. When TCKs talk about what it is that makes them who they are, TCKs that have truly embraced their multiculturalism, there’s an oddly consistent trend in which we don’t really talk much about the place we are right now. We talk about the cultures of our past, the pieces we’ve already absorbed and are confident in explaining, the shining lights of memories past. We talk about the future and what it holds, the potential for new cultures and the promise of an ever-changing understanding on what it means to truly be a citizen of Earth and not a member of a single country. But we don’t ever really talk about where we are, right now. In part it’s because we haven’t fully pieced together the elements of the culture we are currently experiencing, we haven’t decided on our final adoptions in regards to cultural development, and we know that by admitting that we are still learning, still adopting, we bind ourselves a little closer with the inevitable goodbyes that sit in our future. We know that by opening that door, we strengthen bonds to people that would start believing that they understand us, when the truth is we don’t want you to understand us because we aren’t like you. We don’t see the world as countries and pockets. We don’t believe that one person or culture is better than another. We don’t want to be another person in the herd of a like-minded community. We want to challenge everything, we want to make you think, and we want you to see the world as we do: That we are all just people, like everyone else, stuck here fighting to be more than just a forgotten name in a forgotten world. But that’s not fair for the now. Because the truth is, as I sit here in Raleigh, North Carolina and look out at the rest of the world and consider the next inevitable step, a move that will absolutely come one day in my future, maybe soon, maybe not, I can’t help but shake that one thought in the back of my mind, one that counter-acts our entire external projection of what it means to be a TCK. The truth is, I’m not done here yet. I know I’m not alone. I know that TCKs everywhere have whispered that same silent thought to themselves, maybe not everywhere, but somewhere. They’ve said quietly “But… I don’t want to go. I’m not done here yet. I need more time,” and no one has heard them. Because who would we be, the TCKs that we are so proud of, if we let the world know that there was actually something about this place that was more special than all the others? Who would we be if we admitted that this culture is still growing, still adding to the pot of knowledge that we possess, and there’s more to it than we pretend to have already figured out? Who would we be, the people that are so confident in our ability to just let go and move on, if we admitted that in this place there are people that we just aren’t ready to do that with, that we just aren’t ready to leave behind and release from our world? Who would we be, if we admitted that we wanted to stay, if only for a little while longer? But the truth is, we’ve all thought it. And we’ve all pretended we haven’t. And we’ve all moved on and gone to other places and left whatever it was behind just a little sooner than we would have liked. But we don’t have to. It’s alright, you know. You can do it, if you really want to. You can look out over the trees or plains or deserts or mountains and think how beautiful they are. You can look at a colleague or a friend or a lover or a partner and think “I’m not ready to let you go.” You can get in your car or on the bus or on a bike and go from A to B without discovering anything new and know that you don’t really mind that you’ve taken this road before a thousand times and still find it fascinating. You can admit that maybe, just maybe, you’re not quite done here yet. And if you really want, it’s alright if you choose to stay a little while longer. 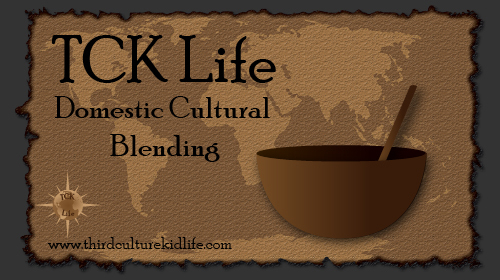 This entry was posted in Traveling TCK and tagged Culture, expat, expatriate, international culture, International Travel, TCK, TCK Life, TCKs, Third Culture Kid, Third Culture Kids, World Culture, World Travel on August 21, 2014 by James R. Mitchener. You tell me about your childhood home, and I smile and nod, balancing on the edge of every single word watching as your eyes light up and the memories of your youth flood through you. As you comment so naturally, so consistently, on this backdrop of the events that made you who you are today, I hang on every jump from past to present tense of a home that both exists now, and existed then, that is as loved as any person in your family or any memory of your life. It isn’t just a place, this childhood home. The memories of your youth have interwoven with its frame to make it almost human, an evolving part of your development that changed as you changed, that grew as you grew, that shaped itself over and over as you went from crib to bed, child to teen, teen to young adult. I listen with such overwhelming attention because you’re speaking to me of this natural world that to you seems so natural and so normal, but to me seems so foreign and confusing. You pause in thought, smile, and sigh as the memory sits in the forefront of your mind. And then you ask me about my childhood home. All at once, the neurons fire, grasping for memories that are not there. I realize now just how foreign of a concept this is to me, just how little a question like that connects to any experience of my life. How do I answer that, when my home has been in airport terminals across the world, when sitting on an airplane is more natural than a bus or a car or a train. Where do I begin in trying to bridge the difference between what was your experience and what was mine? Do I tell you about my house in England? The small little home in a quiet little town, the one with the toilet under the stairs that I would get toilet roll out of to put on the floor in the living room across the hall to pretend it was a pit of fire? The one where my bedroom was up the stairs through the tiny hallway, just on the right, where I had a train set that my dad had built me that he painted a lake onto that I believed needed real water instead of painted water that would flow off the sides and nearly ruin the bedroom wall? The one where I had a little blue plastic stool to stand on to brush my teeth with toothpaste that tasted a flavour of some berries, maybe, or something else small and forgotten in the memory of a three year old boy? Do I tell you about the apartment in Hong Kong? The small, three roomed apartment on the 17th or 14th or 16th floor, in building B? The one where we had a sofa couch made of some sort of foam composite that we would stand on its side and open up to make a wall in the game room? The one where just through the kitchen you could find Mallette’s tiny little room where she would sit and do whatever she did until Robert or I bothered her? The one where when we were getting into the elevator and I was carrying my yellow haired troll doll that I loved, and then proceeded to drop so he fell down the crack and tumbled to his grave beneath the elevator? Do I tell you about the house my parents had built in Houston? The massive-by-English-standards home with the master bedroom upstairs that threw off the American builders who did not put master bedrooms upstairs? The one that we would run around outside of in the blistering heat of Texas playing action games with our neighbors, all about our age? The one where I sat in the kitchen for hours every single day procrastinating on my homework, driving my mother mad? Do I tell you about the little house at the end of the road in France? The one where my Nan and Grandad drove across the ocean from England to bring us their old kitchen so my mum could get rid of the horrible green cabinets and replace them with the kitchen her mother had retired in a renovation? The one where I would walk all the way up the road to get on the school bus to attend my favorite school I had ever experienced up until that point in my life? The one where we got our first computer and discovered the internet with the large bay windows fully open letting in the beautiful french breeze? Do I tell you about the five story connected townhouse in Hong Kong that was incredibly thin and shot to the sky? The one where my brother had an entire floor to himself and two bedrooms because one of the bedrooms was only just large enough to fit his bed, but not large enough that he could ever open his closet? The one that had the independent wall mounted air conditioning units that kept my room so cold it was like I lived in an ice box? The one where we got robbed three times and Ralph, our dalmatian, had scratched half-inch deep treads into the staircase as he chased the burglar from our home? Do I tell you about the house we returned to in Houston that felt nothing like it had before, an empty shell of a past experience that was nothing as it should have been. The one in which I cried myself to sleep every night in that bed for weeks, as a fully matured teenager, upon arriving because I was in a room that I had sat in before and so helplessly could never escape from to go back to the world I loved? The one I locked myself away inside of, letting my grades slip into oblivion and my concern for the world fade to silence? The one where I learned how different I was, and who I had finally become, and slowly overcame the heartbreak to uncover the pride of all that I had seen? I tell you about none of them. I tell you that I have no childhood home. That my life is a string of memories from all over the world, that every single one of them made me who I am, and that my life is not built upon the memories of a single location. I tell you that there are things I loved about them all, and things I hated about them all, but in the end, they were just buildings of my past, and the things that mattered were the friends I made and the experiences I had. And you understand. Or you say you do, because that is what we do, and you agree that the house is just a place, but it’s a place full of memories for you, and that you and I aren’t so different in that regard, except that your childhood memories are on one childhood home, and mine are from many. But I don’t think you understand. Because I don’t understand. And that’s sort of beautiful. 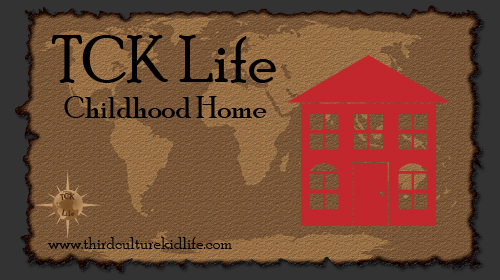 This entry was posted in Growing Up TCK and tagged Adult Third Culture Kid, Cultural Identity, Culture, expat, expatriate, global culture, TCK, TCKs, Third Culture, Third Culture Kid, Third Culture Kids, World Culture, World Travel on June 3, 2014 by James R. Mitchener. There are two types of people in this world when it comes to culture. There are those like us, the Third Culture Kids of the planet, that find comfort in absorption and who want to take a culture apart to add it to our lives in pieces, the pieces we love, and even sometimes, the pieces we hate. And then there’s the people who do everything they can to reject cultural absorption and isolate their life-experiences based on the culture that they were raised in. Culture is a lot like religion in that way. People are a certain religion because they were born into it, which is exactly the same as a culture. You wouldn’t be born into an upper class Mexican culture, be raised in that culture, and mysteriously adopt all the cultural elements of Malaysian middle class culture any more than you’d be born into Buddhism, educated only on Buddhism, and somehow mysteriously adopt all the traits of a Hinduism when you’ve never actually experienced it or been educated in its teachings. We are culturally dependent upon the cultures we have experienced, and that dependence is what has created so many different cultures across the world. Our parents educate us, teach us how to live, how to act, how to behave. They teach us societal constants, show us how to eat, how to sit, how to sleep, how to smile, how to greet each other, how to dance, and on and on until we have been fully educated in the culture of our youth. But we also learn from experience, and that’s how we as TCKs came to be. If that education period is fractured, if you pull the child away from the source, you are going to create a cultural separation. We can be taught to do things a certain way, but if we are surrounded by those who do things differently, we are naturally inclined to believe that their way of doing things must be right, too. So, naturally, we absorb a little bit of both. When you yank a child out of a culturally isolated situation and move them into a different culture, you shatter a window that is inherent in all mono-cultured children and adults. There’s a barrier in mono-cultured individuals that is rarely overcome, and that’s a belief that all other forms of cultural normality are incorrect, wrong, and foreign. 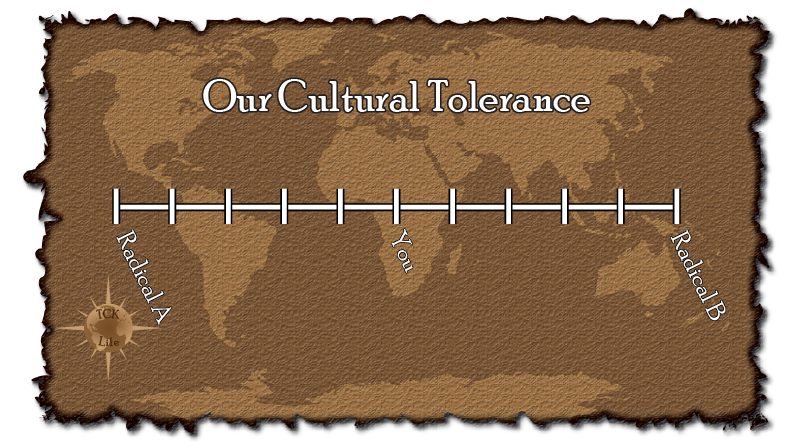 The barrier for entry into a different culture and community is so immense due to a lifetime of community driven development that comfort takes over and mono-culturalism becomes a crutch for life. Forcing a child to experience a different culture during their developmental years, however, creates a different type of beast, one that is capable of adaptation and camouflage not because they want to be, but because they need to be. 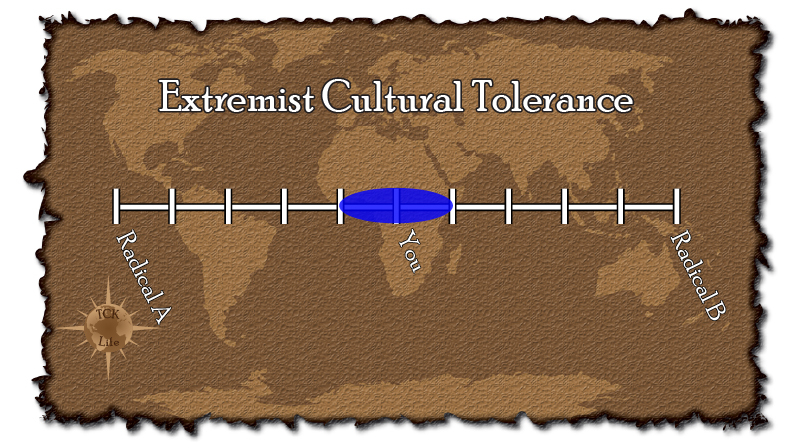 It’s the opposite extreme, a person who is so vastly different from any one culture that they fit into none. And that, my friends, is a TCK to its core. I bring this up because it has come to my recent realization that cultural melding is more than the extremes that many of us as international Third Culture Kids have experienced in our lives. There’s a side to the TCK upbringing that doesn’t necessarily require the developmental experiences we have had travelling the world. As international TCKs, we stand out more than anyone else. We don’t fit in really anywhere, and we don’t have a home. But we’re not alone, are we. There are kids that are born in the south of the United States who move all the way to the North. Born on the east coast and move to the west coast. And if you know anything about America, there’s a lot of cultural difference between one state and its neighbor. These kids, while much more capable of fitting in, go through very similar identity issues as the internationals. The difference is, it’s harder for them to realize what is happening. See, with domestics, they don’t necessarily have the physical recognition factor that internationals and expats do. When you were born in England and you move to China, it’s hard to not realize that you don’t quite look like everyone else, and it’s even harder not to realize that this place doesn’t quite look like where you came from. The domestics don’t have that luxury. Much of the architectural and ethnic differences in a country are fairly decently spread to an almost equal degree. You move from one state to another, and not much changes physically. But culturally, it can feel like everything has changed. It’s this struggle for domestic movers to identify with a particular culture that has become truly fascinating to me. I understand what it’s like to be an international TCK. I’ve lived it and breathed it my entire life. But to feel different without anything really seeming that much different must be a very difficult thing to confront. I have several friends that fit into this category, and it wasn’t until a recent conversation with one of them that I realized the level of connection I have with the confused domestic development thought process. It always seemed so different to me, not having lived outside of your country. 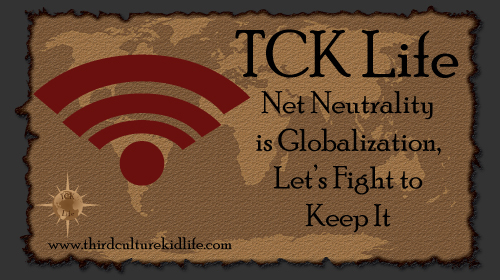 But that’s not really what TCK life is all about, is it? It’s about cultural adaptation, about absorbing your surroundings and becoming something different based on the elements you choose to adopt. And honestly, I find great beauty in the idea that if we can connect with domestic movers as TCKs on a deeper level, maybe the world us TCKs live in isn’t so small after all. Do you find that you can connect with people that have moved around more or less than those that haven’t? Why do you think that is? This entry was posted in Cultural Identiy and tagged Culture, Domestic Travel, expat, expatriate, International Travel, moving, TCK, TCKs, Third Culture Kid, Third Culture Kids, Travel, World Culture, World Travel on May 20, 2014 by James R. Mitchener. 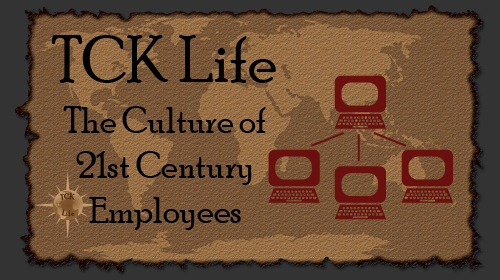 Being naturally inclined to analyze culture in all its forms, I have noticed some very interesting trends in 21st century work culture, especially in regards to the complete polar difference in the employee culture of the generation that came before me and the generation that I am a part of. I am very good friends with members of both cultures in the employment space, and those friendships extend from executive management to everyone else. 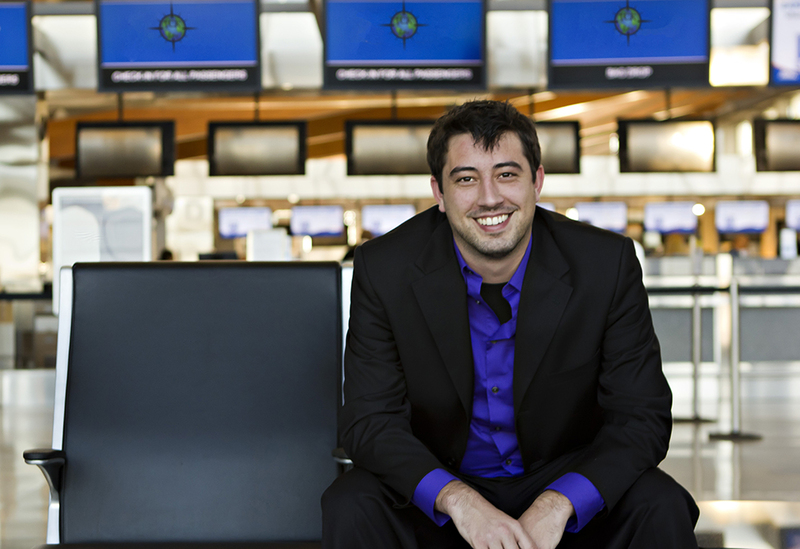 Throughout these relationships and my time in the working world, I have noticed a very interesting and very rapid cultural shift that has changed the entire way we, as workers in the 21st century, should be viewing the employees coming through our door, and how we let them communicate outside of our office walls. As many of my regular readers are aware, my employment situation is a chaotic one at best. I have multiple jobs at any given time being a consultant and a full time employee for a waste company in North Carolina. As the Marketing Manager at my company, I have a bit more freedom than most when it comes to my access to the internet, and it is this freedom by comparison to my peers in this office, and the freedoms that are possessed by very close friends in various companies all over the world, that I began to really notice that technology has completely changed the way 21st century employees are getting their jobs done. Me: Bryan, my computer is being a jerk. It won’t let me control 5 to turn these paths into guides. Bryan: Well you tell that computer if it doesn’t stop being a jerk, you’ll take away its power button as punishment. Me: I tried that, it just shocked me as a response. It doesn’t appear to like being threatened. Bryan: Ah yes, it’s probably the leprechauns in there. Ok, go to Start –> run –> enter (Bryan says some IT stuff and I just do it) and tell me what the second line there says. Me: It says (random stuff IT people get). Bryan: Ok, just go ahead and close that and open your control panel, go to keyboard, and change your setting from A to B. Me: Hey, I need 30 white T-shirts, don’t care about quality, that will host this logo [link attached]. Thoughts? Die sub or screen? Shelton: Screen. Definitely. What’s it for? Me: An outdoor heart walk event. They’ll be wearing them while they walk around in the sun. Shelton: Poly blend, if you don’t mind spending a few extra bucks. But I can probably find them on discount somewhere. Hold on. Shelton: Ok, how does 16.50 a shirt sound, three color screen front and two color screen back? Me: Did you get competing quotes? Me: Looks good, get them ordered. Kitney: How much would it cost me to put together a press release? Me: Depends? Attaching picture or just the release? And are you writing it or having me do it? Kitney: I’ll write it if you’ll edit it. Yea he wants a picture. Me: That works. And it’ll cost you about 1200 to do it yourself, but you can piggie back on my account for 900 if you’re doing a picture. I finish my designs for the day and begin gathering information on what has happened in the world of internet marketing while I was designing to make sure I’m still on top of my game, and as I do that, my final hangout comes in from Chelsea asking me about sales buttons on the website she manages. Chelsea: I need a way to make these sections look more balanced. Any ideas? Me: I’d put a direct link button that says “Get your copy of this book today!” at the bottom to cause a line break and give you a direct conversion point from your homepage. And there we go, done again. It’s this exact form of communication that makes 21st century employees so interesting to me from a cultural perspective. I mean sure, people had the ability to do this in the past with phones and then in recent years with emails, but there’s something about the social networking age that has opened up our generation to a cultural acceptance of sharing everything about our lives, including our talents. It used to be that when a company hired one employee, they had to find the employee with the best skills for one particular job. Now, however, you can hire an employee with the skill set of one particular job and you’ll get the skill-sets of multiple other jobs in a shared networking experience that blows any previous hiring potential out of the water. You literally pay one employee and get the knowledge of their entire network, all because this culture learned to thrive on the sharing of information. Obviously, I love culture. 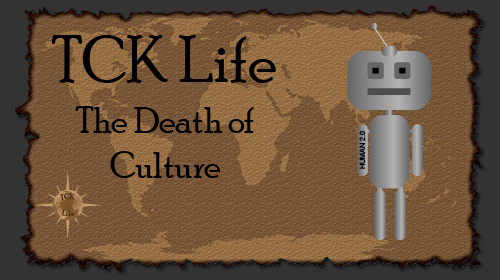 I’m a Third Culture Kid, and I can’t help myself, and with this cultural element I feel as though I’m watching something completely new, an entirely new office culture that the world has never seen and that many are not prepared for. So many people who have this networked potential are completely locked down, incapable of getting on hangouts or Facebook chat or the likes without getting in trouble. But that’s the remnant of a dying generation of leaders, and with every passing day this new, completely connected culture moves closer and closer to running the organizations that are not even remotely prepared to handle them. And honestly, as a man obsessed with culture, especially new ones like this, I couldn’t be more excited to see how this all unfolds. So, readers, here’s my question to you: What does your knowledge network look like? 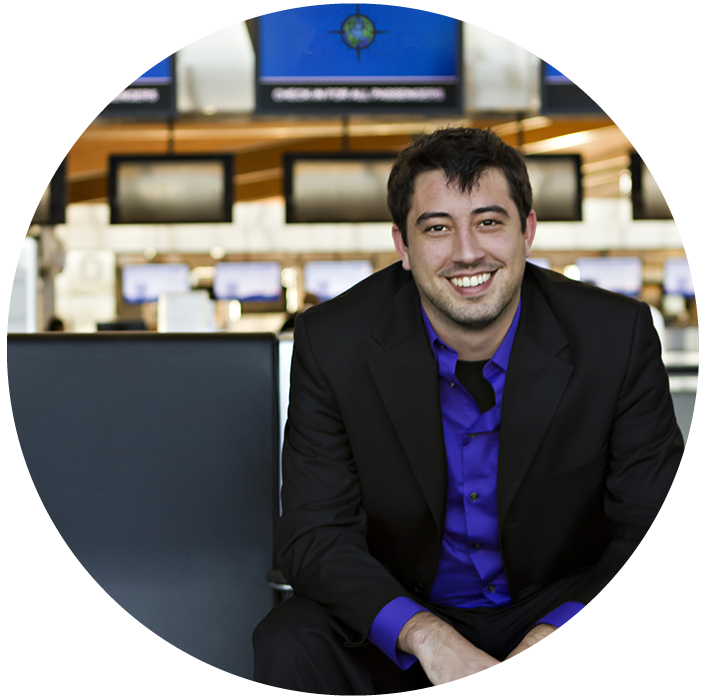 This entry was posted in Adult TCK and tagged expat, expatriate, international culture, knowledge network, office culture, TCK, TCKs, Third Culture, Third Culture Kid, Third Culture Kids, work culture, World Travel on April 17, 2014 by James R. Mitchener.